A legal costs and pricing specialist has designed artificial intelligence-powered (AI) software that it says will help law firms price work faster and more accurately. By inputting a project’s parameters into the cloud-based product – known as Virtual Pricing Director, created by costs consultancy Burcher Jennings and its pricing arm Validatum – the firm can generate “relevant assumptions and exclusions” and produce a “price risk profile” and recommended fees, its makers claimed. The product is the brainchild of pricing expert Richard Burcher. The software was built using Neota Logic’s ‘drag and drop’ AI engine, which enables legal services professionals to create sophisticated technology applications. Describing the product, Neota’s managing director, Europe, Rick Seabrook, said: “Virtual Pricing Director will give users a complete pricing summary, outlining not only the fees options but also an explanation of how they are calculated, making it easy for the client to select the right option for them. “One more click and it will be automatically emailed to the client, and put on your client file. 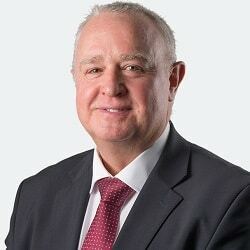 Mr Burcher said: “Market pressures and regulatory requirements are fuelling an inevitable drive towards greater price efficiency across the legal sector. Separately, a substantial number of in-house counsel can point to technology they have deployed which is hardly used and gathering dust, LexisNexis UK has said in a survey. 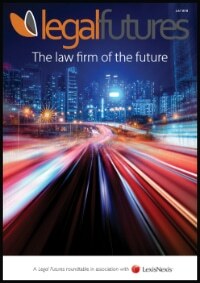 The information and analytics provider consulted some 150 in-house lawyers about their technology use and found that while most had introduced various technologies to their departments and almost two-thirds were confident it would enhance legal work in future, more than a third were ignorant of what IT their law firms were using. This was important, because almost half were expecting the firms to advise on the best technology. Further, one in five general counsel could point to recently-installed technology which had little or no use, increasing their dependency on good advice.